Peanut butter is more than a tasty high-protein spread for your sandwich; it’s packed with oils that can help aid keep you full, build muscle, aid in weight loss and even prevent the development of Alzheimer’s disease and diabetes. 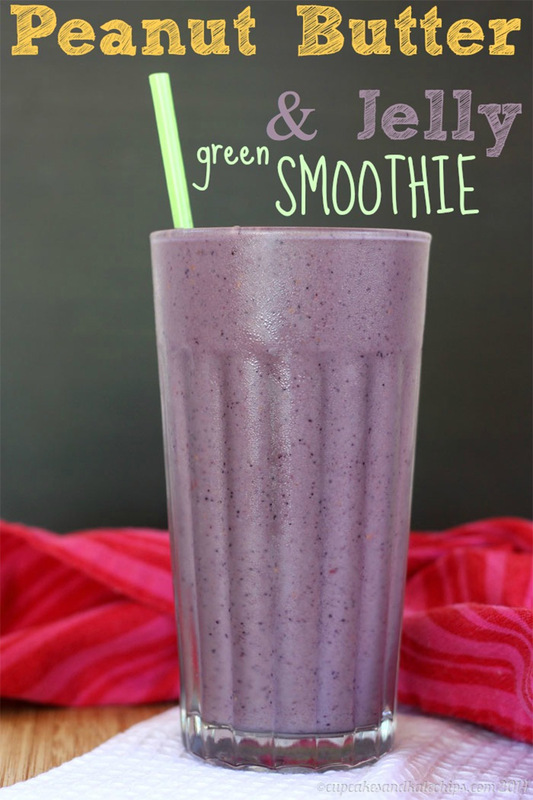 Plus, the stuff tastes fantastic when mixed in a cold and refreshing smoothie! Make sure you choose the all-natural, organic kind with no added sugar or ingredients (100% peanuts) for the healthiest smoothie possible. Yogurt gives this smoothie a cool, ice-cream-like consistency that makes it taste like dessert. Plus, the active cultures in yogurt aid in your body’s natural digestive process by encouraging greater production of your body’s flora. Banana preserves and boosts memory through its naturally occurring tryptophan, and additionally it’s high-potassium-low/no-sodium balance directly cuts the risk you run at developing cardiovascular disease. PB fun fact: We also thought we’d throw you a fun fact on peanut butter at the end of each recipe wrap-up! Peanut butter is full of nothing but heart healthy mono-saturated fat, which has been shown in studied individuals as resulting in less total belly fat. Chocolate and peanut butter is a thrilling combination. 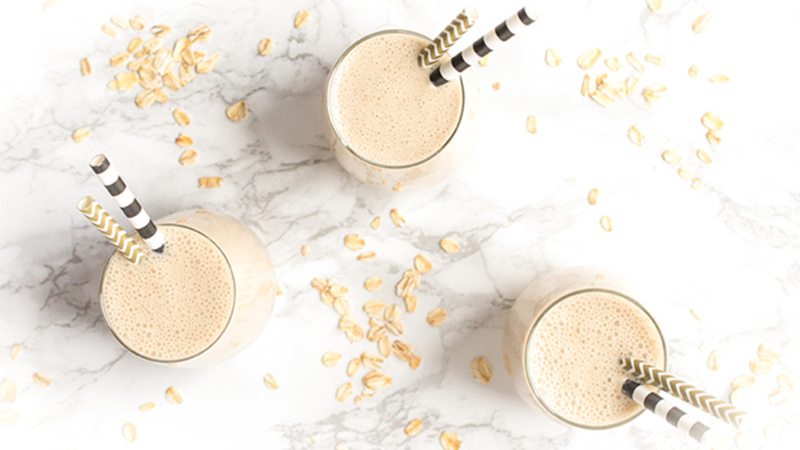 This recipe’s combination of Greek yogurt, skim milk, and natural peanut butter gives you the same flavour combo but also delivers your body 28 grams of natural and healthy protein per smoothie! The high protein content will keep you feeling full much longer, and is great for after a tough workout. PB fun fact: Several studies have found that regular consumption of peanut butter could result in a 25 to 30% lower risk of gallstones. If you consider yourself an exasperated member of the “dash out the door for work” pack, then this is the perfect smoothie for you. With a prep time of a mere five minutes, and a perfectly struck balance between salty and sweet, this peanut butter rich smoothie’s captivated the masses. Plus, the cinnamon adds a pleasant spice to add even deeper flavor complexity to this cool and refreshing drink. PB fun fact: Eating peanuts can cut your risk at developing type-2 diabetes. 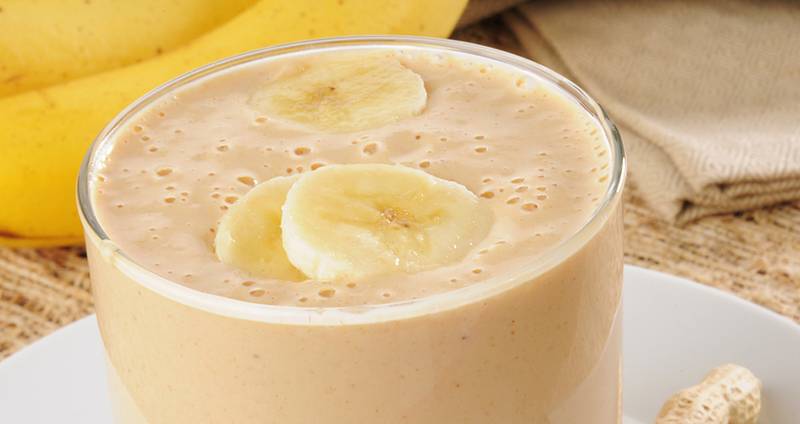 Who’d have thought the peanut butter smoothie had any more room to become even healthier? 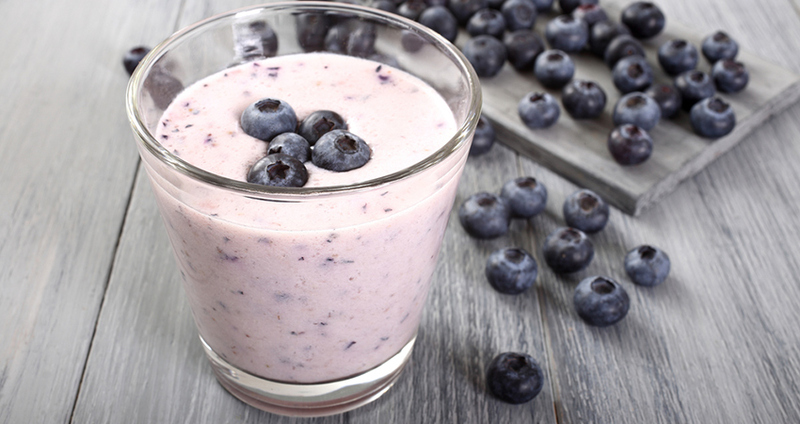 Well when you toss some antioxidant-rich blueberries into the mix, you’ve got a supercharged smoothie packed with nutrition. Every cup of blueberries delivers your body 14% of its daily recommended dietary fibre intake, and population focused studies suggest that regular consumption of blueberries can vastly reduce the risk of cognitive decline especially Parkinson’s disease. Get the recipe here. PB fun fact: One study suggested that regular peanut consumption cut the risk at developing Alzheimer’s by 70%. Many of us have looked fondly upon a fresh sliced PB&J sandwich since our early childhood over crowded lunch cafeteria days, but as we grow older and accept the reality that our bodies and their metabolisms will naturally slow down with age, it becomes time to consider the healthier alternative. Fortunately, the culinary innovators of this grand generation have created a health-conscious smoothie that manages to hold onto that lovely taste of the peanut butter and jelly sandwich! 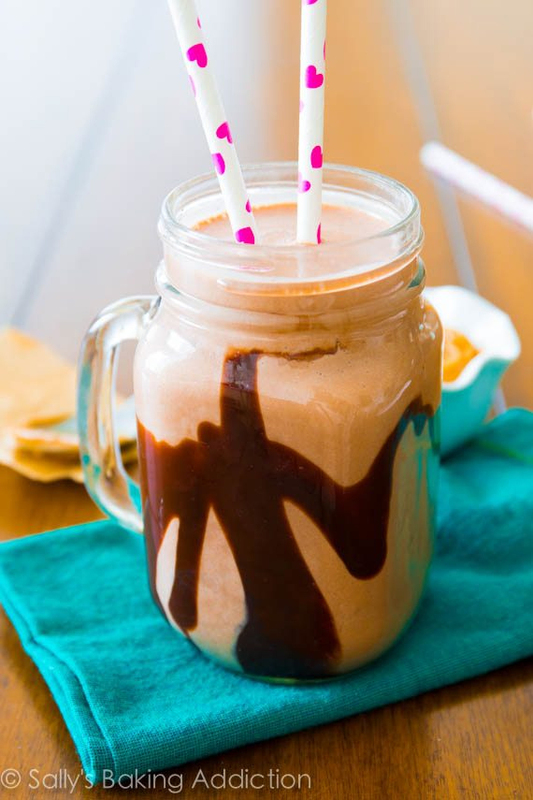 PB fun fact: Besides the great taste, the peanut butter in this smoothie has been proposed to have healthy properties that reduce the risk women run at developing colon cancer.